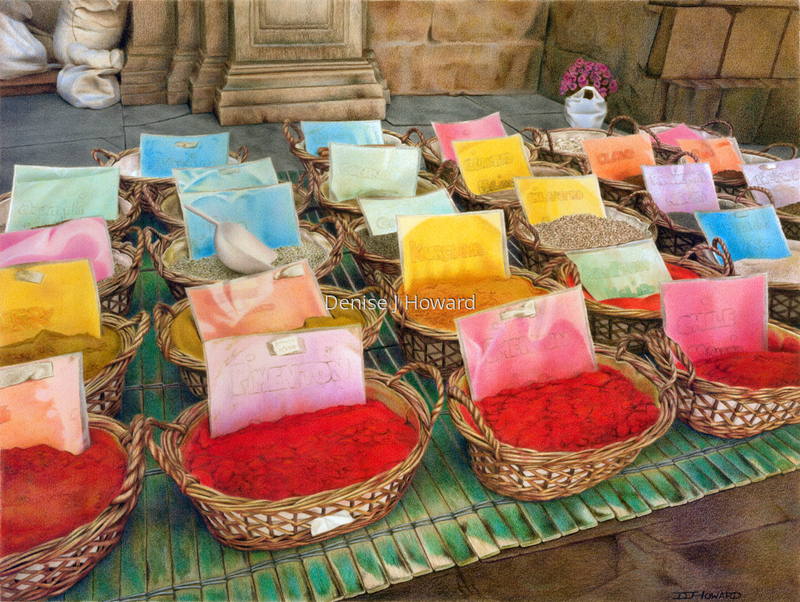 While visiting Granada, Spain, I came across a vendor selling spices from baskets outdoors right next to a cathedral. Exhibited in CPSA International Exhibition, 2011. Exhibited in UKCPS International Exhibition, 2011.